Recently there was news from the Department of Homeland Security that there would be a proposal to allow spouses of certain H-1B workers to work. See link for the actual release. While this particular proposal seems likely to happen, it does raise the issue of when proposals are seen as actual “law”. Not too long ago there was a proposal by US Senator Schumer to grant permanent residence visas to overseas investors who put in $500,000 US dollars into residential property. The Wall Street Journal wrote about it as well as other national news outlets. Overseas, especially in Asia, it received a lot of positive press. It should be noted that several countries, such as Panama, have residential property investment visas. However, this proposal did not get passed into law. But we do get questions about this residential real estate property visa all the time. Unfortunately, we have to tell them it doesn’t exist. Some don’t believe us and presumably go to others trying to utilize this residential property visa. What’s there not to like about this? You buy a property that you would have normally and they throw in a green card in the process as a nice freebie. Much better than having to create 10 jobs and putting one’s capital at risk (the current EB-5 scheme). Other attorneys (US attorneys, I may add), ask about this as well. That’s why it’s a bit problematic writing about proposals before they come law. An Iraqi blogger from the NY Times writes about her expectations about coming to America — in particular the education system. She is Christian and worked for the NY Times as a translator in Iraq. She will be coming to America soon. I believe it’s probably true — the image of America overseas is fashioned through movies. Click here for the blog entry. She’ll continue to write about her new life here in the US. I’ll be curious as to how her expectations are met/exceeded/diminshed/not met as she lives here. The perspective that she brings as someone on the verge of arriving here is something we forget as Americans — regardless of which side of the immigration debate you are on. For me personally, a part of me believes in what she articulated in the blog entry above and I’m reminded of that everytime I read a narrative such as hers. The Los Angeles Times discusses the issues that face educated immigrants who are “under-employed” when they arrive in the United States. A study reveals that approximately 1.3 million college educated immigrants are in low-level jobs or unemployed because their foreign credentials are not recognized here in the United States — thereby creating a brain waste. Completely off topic, but in honor of the Olympics starting in Beijing this week, I thought I would post articles discussing foreign-born immigrant athletes proudly competing for the United States. By most counts there are approximately 33 foreign born athletes (who are all now US Citizens) competing in the Olympics on the US Team. And another story in the New York Times about Bernard Lagat, a Kenyan born runner who is now a US citizen (who interestingly enough is coached by a Chinese-born, US citizen naturalized citizen). Both compete proudly for the United States. 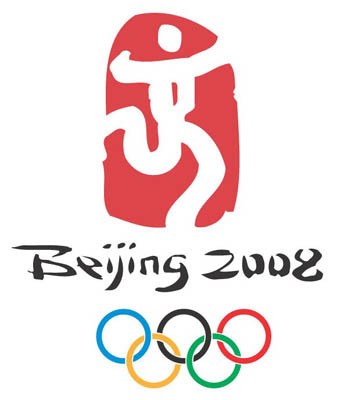 And another story about a Chinese-born gymnastics coach (but now a US Citizen), as he attempts to lead his charge, Shawn Johnson, to a gold in Bejing. So keep an eye out when you set your DVRs to record the Olympics. We just got our renewed passport, but it’s the new US biometric passports with the RFID (Radio Frequency IDentification) chip. The new passport has that tiny square with the circle inside emblem at the bottom. The covers are very hard and solid compared to the flimsy covers of the previous passport generation. And the inside pages has completely different art to it. And in the future, they’ll be able to store fingerprint, even retinal scan information on the new chip embedded into the passport. All of the biometric data (height, weight, eye color, date of birth, etcetera) is stored on the RFID, which can be read without it being physically scanned. Get the passport close to the reader, then it can be “read” — which should expedite lines or anyone having to actually have things touch. 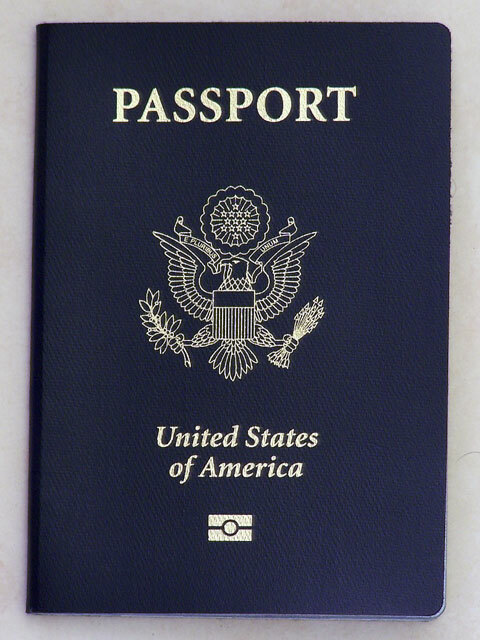 The new stiff cover of the passport also acts as a radio frequency shield, meaning that the passport must be open before it can be read by other scanners. However, critics have pointed out security flaws of the new passport — read here for an op-ed piece in the Washington Post. My own personal passport is still the old school non-biometric chip passport and am I glad that I have it. Regardless, I think it is important to have a passport (biometric or not), because you never know when you may have to travel and for any naturalized citizens (in this day and age), you need it because it is INDISPUTABLE evidence of your US Citizenship. And that’s very important.